We have three service technicians, all with extensive auto repair experience. We have ASE Certified and Master Technicians on staff. Our technical staff’s qualifications greatly exceed the skills of many other auto repair shops around. The quality of our workmanship is extremely important to our company. When we have your automotive maintenance and auto repairs done by well-qualified mechanics, the work is done right the first time. This helps us keep customers happy, our biggest priority. Happy customers tell friends and family members. We like that. 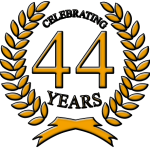 In the auto repair industry, there is only one nationally recognized organization that trains and certifies auto repair professionals. That is the National Institute for Automotive Service Excellence, The ASE. 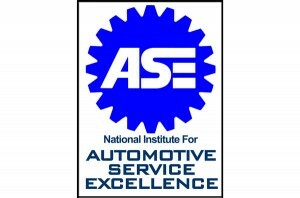 Our auto repair mechanics are at least ASE Certified or ASE Master Technicians. This helps us assure our customers that we have the qualified personnel to service their car. We care about our customers and that’s why we only use qualified and experienced auto repair mechanics!